1 What Is A Caudal Steroid Injection? 2 How Is Caudal Steroid Injection Performed? Low back pain is a common condition; it has been estimated that approximately 40-70% of adults will suffer from some type of low back pain at some point during their lifetime. A preferred treatment option for patients suffering with chronic low back pain has been caudal steroid injections. These injections usually include a mixture of a steroid and an anesthetic, which is injected into the lower back region, to help reduce nerve pain. Epidural steroid injections are the most frequently used technique for treating episodes of acute and chronic back pain. This is possibly due to the fact that the procedure is relatively simple and produces the desired effects quickly. Many patients immediately notice a reduction in pain and are almost immediately able to resume normal functioning. One report that investigated epidural steroid injections found that almost three quarters of the study sample noted a significant improvement in their daily functioning after treatment. A recent meta-analysis investigated the effectiveness of caudal steroid injections over the past ten years; the findings support the use of steroid injections for pain management. It is believed that epidural steroid injections help relieve nerve pain by way of their anti-inflammatory action. In addition to their anti-inflammatory properties, steroids possess other characteristics that may help to relieve pain. For instance, steroids act to provide stabilization of the membranes of the nerves and help to inhibit ion conduction. These two mechanisms of action are viable explanations as to how epidural steroid injections help to provide pain relief. The long-term effectiveness of steroid injections is not completely clear. While some patients report long-term pain relief benefits following their injection, some have not. However, patients can have several injections over a one-year period if they do not receive long-term relief as these injections are generally regarded as safe. How Is Caudal Steroid Injection Performed? The spinal cord is surrounded by cerebrospinal fluid (CSF) that acts to protect the nerve bundles in the vertebral canal. The spinal cord and nerve bundles are held in place by a durable membrane, and outside of this membrane is the epidural space. This is where the caudal steroid injection is given as it is where the irritated nerve roots are located. A caudal steroid injection includes two kinds of medication: a steroid and an anesthetic (i.e. lidocaine). The steroid is injected to help reduce inflammation and irritation of the affected area while the anesthetic is believed to interrupt nociceptor transmission, helping to reduce pain. Caudal steroid injections are usually only injected into the areas that are the most inflamed. This is to help reduce patient exposure to steroids. Caudal steroid injections are relatively non-invasive, easy to perform in an outpatient setting, and are usually painless. It is expected that patients who receive a steroid injection will feel an instantaneous reduction or possibly an elimination of pain after the injection. There is some evidence to suggest that patients who only report a modest decrease in pain to the initial steroid injection may benefit from having several injections over the course of a year. Caudal steroid injections are often used to treat nerve pain in the lower extremities and back. Nerve pain that is associated with irritation and compression of the lumbar spinal nerves can be treated with a relatively non-invasive and quick caudal steroid injection. When spinal nerves are irritated or compressed, patients may report pain radiating to the buttocks and even into the lower extremities. Steroid injections are thought to provide pain relief by exerting their anti-inflammatory effects around the injection site. Many patients report an almost immediate reduction in pain following a caudal steroid injection. 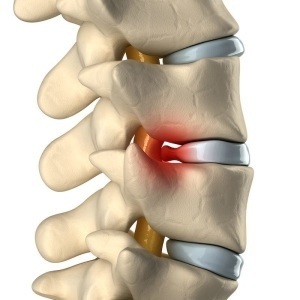 Oftentimes, patients will report long-term pain relief benefits following caudal steroid injections. However, for those who do not report long-term relief, multiple injections can be offered, as this is a safe and effective treatment option. Patients are encouraged to discuss their pain symptoms with their physician to determine if a caudal steroid injection may be beneficial for their condition.